Complete and submit the registration forms to the centre. Children must be at least 30 months old to be eligible to enter to the program and toilet trained. Once childcare has been offered and accepted, a contract package is put together and an orientation meeting is arranged between the parents and the centre. The legally binding contract clarifies expectations of the family and of the centre, including fee payments, withdrawal notice and health and safety issues. A $100.00 non-refundable registration fee is required within two weeks of acceptance of the position. The deposit is payable by cash or cheque. If a registered child does not actually show up at the centre, and the current month’s fee has not been paid yet by the fifth day of that month, the child will be deleted from the program and the deposit will not be refunded. Families can re-apply, with a new application fee and deposit. A $300.00 deposit is required within two weeks of acceptance of the position. The deposit is payable by cash or cheque. A part time option is available in our program, and the fees will be adjusted accordingly. Fees are payable by cash or cheque to IMAGO DEI. Cheques should be dated for the first of each month. Post-dated cheques or your subsidy authorization number are appreciated. Any returned cheques (NSF) will be subject to a $20 bank service charge. Yearly receipts for income tax purposes will be available in January each year for the previous year. Tuition is due the 1st of every month and is considered late on the 5th of each month. Payments received after the 5th of the month will be charged a $20.00 late fee. Payments received later than the 10th of the month subjects the enrolled student(s) to dismissal from the program until the account is made current. At the time of enrollment parents sign a contract agreeing to the hours of operation of the particular program in which their child is enrolled. If parents arrive late to pick up their child they will be charged a late fine. The late fine is intended to discourage late arrivals. If parents appear to have difficulty arriving on time on a regular basis the staff will discuss other options which may include termination of services. If you are going to be late, please call the centre. There will be a $10 late charge for every 15 minutes beyond the assigned pick-up time. At the time of withdrawal, the deposit can be refunded or will be applied to any outstanding debt. The contract requires one calendar month’s notice of withdrawal, and failure to provide that will lead to the loss of the deposit. For more information or to apply for this program, please go to the Government of British Columbia Child Care Subsidy webpage. The centre will be closed on all statutory holidays, Easter Monday, A Half Day Christmas Eve (closing at 12 pm), Boxing Day, and A Half Day New Year’s Eve (closing at 12 pm). To ensure the safety of all our children, we have a strict policy for signing in and signing out when each child arrives and leaves the centre. Families must call us or send a note if their child is going to be away. It is also advisable to call the centre when the child is returning after a longer absence. Your child will only be released to you or to any person listed on your child’s registration form. Staff members will still exercise caution and contact you if they are concerned about the pick-up for any reason. The staff cannot become involved in the marital or custody issues of your family. Our professional role requires that we stay completely impartial as we often work closely with both sets of separated parents. If a parent is divorced, separated or going through custody negotiations, staff must be informed of the relevant custody and parental access details. If there are any restrictions on parental access such as no visits or no pick-ups, we will require official documentation to that effect, such as a court order or a restraining order. Without proper documentation, we cannot deny a parent access to their child. The staff will only be accountable to the enrolling parent, who will provide the centre with all relevant information and documentation. If an unauthorized/unfit person comes to visit or pick up their child, we will call the parents/emergency contacts of the child to ensure that the person is authorized to pick-up the child. In case of difficulty, we will call 911 and have the person accompanied away from the centre. If an unauthorized/unfit person forcibly takes his or her child, we will not attempt to physically restrain him/her. Rather, we will also call 911 as well as the authorized parent or caregiver immediately. The reason for this policy is that we cannot risk the safety of children and staff by a physical confrontation. Call you at home and work; if there is no answer, call the emergency contact from your child’s file. If your child still has not been picked up after one hour, we will call the proper authorities (Ministry of Children and Family Development at 604-660-4927). We want to promote positive growth and development in children. Therefore, we provide nutritious snacks in our program. They include fresh fruit and vegetables, crackers, whole grain breads, muffins, cheese, tuna and salmon. During snack time children are taught about table manners, cleanliness, and food choices to promote healthy living. Please let our staff know if your child has any food allergies or health concerns. Families provide lunches for their children; the centre provides water, milk or juice. Some ideas for lunch: finger foods, sandwiches, soup, fruit and vegetables, whole grain breads, muffins, cheese, meat, yogurt. We ask families not to send sweets. We ask families to send lunch in a lunch bag or box. If something is sent that should be warm, it should be in an unbreakable thermos bottle. If something perishable is sent that should be kept cold, a small ice pack should be included in the lunch bag as space in the fridge is limited. Families are asked to send bottles and sipping cups if their child uses them. All lunch boxes, thermoses, containers, juice cups and bottles must be clearly labeled with the child’s name. Children will not be admitted to the centre if they are ill. A child needs to be well enough to participate in all the daily activities, both indoors and outdoors. The centre does not have the facilities for the care of sick children. Families must ensure that their child’s immunizations are up-to-date. If a child contracts a communicable disease, the family is asked to notify the centre so that other families can be informed. Because we regularly use the outdoors, families must provide appropriate clothing for all weather conditions. If a child becomes ill at the centre or has an injury, the staff will contact the family to take the child home. If the child is seriously ill or injured and the parent is unavailable, the child will be taken to a hospital Emergency room or to the child’s family doctor. An ambulance will be called if necessary. We will only give children medication that has been prescribed by a physician. Families are asked to fill in the medication form (note the medication, dosage and instructions) and give the form and the medication directly to a staff member. If a child has exceptional health care needs we will require a health assessment from a physician or other health care professional. We will need a Health Care Plan that outlines the care that the child needs while at the centre (such as dietary restrictions, a medication schedule, health procedures, precautions, emergency warning signs and emergency procedures). The Health Care Plan must be developed by a health care professional in collaboration with the family, and staff training related to the plan must also be given by a health care professional. The plan and training must be completed before the child can attend the centre. If there are any changes in the health of the child and the health care needed, both the plan and training must be updated. The child may not be able to attend the centre until both are completed. The Child, Family and Community Services Act states that all children in the province of British Columbia “are entitled to be protected from abuse, neglect, harm or threat of harm.” The Act also states that any person who has reason to believe that a child needs protection must promptly report the matter to the Ministry of Children and Family Development at 604-660-4927. The staff are legally required to report any suspicion of physical or sexual abuse or neglect of the children in our program. Failure to report such suspicions is an offense. We value and respect that each child is a unique individual. In caring for and guiding children’s behavior, we ensure their safety and help them in developing their self-esteem, self-control, and sensitivity in their play and interactions with others. We can see the beauty of God’s creation all around us. We can see that He is a God of power, but also a God of beauty and design. We—and children too–are the work of His hands. 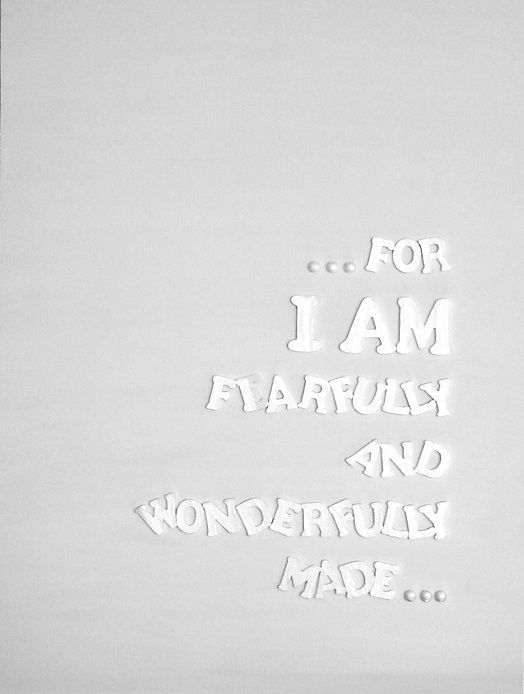 He made each one of us fearfully and wonderfully in His image. We use positive child guidance recommended by BC Health Planning (Guiding Children’s Behaviour) in guiding and caring for the children. it focuses on ‘Basic Ground Rules,’ namely “Be safe, be kind, and be neat.” It boosts self-esteem, enhances self-image, and nurtures self-control of a child for the growth of his/her emotional and social development, and it is concerned about the individual child and his/her dignity as a human being with human rights. and being a role model of positive behaviors. Appropriate behavior is reinforced and praised while inappropriate behavior is addressed with a focus on the behavior rather than the child. If a child has persistent behavioral problems, staff will use a variety of guidance strategies, depending on the individual needs of the child. These strategies may include redirecting him/her from a situation if he/she shows a persistent refusal to respect the rules of safety for self, others or the environment. Licensing regulations state that no child should be subject to shoving, hitting, shaking, or any other form of corporal punishment; harsh, belittling treatment whether verbal, emotional, or physical that would lead to humiliation or undermining of self respect; any reasons or punishment including being restrained in a room away from other children without supervision or removing meals, rest or necessary use of a washroom. Staff must be informed of any event or change or routine at home which might affect your child’s behavior. Families will be consulted if a child has persistent behavioral problems in the centre that require a consistent systematic approach. Extra support can be accessed for children with emotional and behavioral challenges if families and staff wish it. Teachers and children sit together at the dining table. We lead children to thank God for the food by singing a meal song and with a prayer. Eventually, we would hope for children to be able to lead a simple prayer. There is a rest time every afternoon for all children. This gives them the opportunity to nap or relax and unwind after a stimulating morning. We encourage the children to rest and lie quietly. Any child who does not fall asleep after an appropriate length of time during the designated nap/quiet time shall have the opportunity to engage in quiet activities. The centre provides sleeping mats for rest time. We ask families to send a clean and washed blanket and child-size pillow to the centre every Monday. We send it back to families to be washed on Fridays. The bag must be clearly labeled with the child’s name. We ask that your child not bring candy, gum, money or toys/games. On planned show-and-tell days, items from home will be put away after they are shown at circle time. We cannot be responsible for lost articles from home, although we do our best to keep track of children’s special things. Each staff member meets the credentials required by Provincial Child Care Regulations & Community Childcare Licensing. All our teachers come from recognized training colleges and have current Criminal Record Checks and First Aid/CPR Certification. We like to help future teachers with practicum placements during the year. Student teachers and volunteers have all the required criminal records and health checks. IMAGO DEI would appreciate if all parents could contribute by volunteering over the course of the school year. Also, if you have a particular skill, interest, or profession, which you would like to share with the class, we would be very happy to hear from you. We encourage special classroom visitors to enrich our program and expand the learning experience. Gather garbage from classroom and collect in one bag. Take garbage out to bin in back of the centre by parking lot. Occasionally, staff take images of the children as they participate in the program. These images are used in the centre or for instructional purposes. They may be used on posters or charts, in scrapbooks and learning materials, or on cubbies and placemats as identification, to help children know where their places are. When images are taken by staff for children’s learning purposes only and to be used within the centre only, we require parent or guardian permission as indicated by the parent or guardian’s signature on the centre Image-Taking Permission Form. If a parent or guardian does not give permission, that child will be accommodated away from those activities. Parents who give permission may revoke that permission at any time in writing. Individuals or groups from outside IMAGO DEI may request permission to take images of the children for educational purposes only. Children will only be included when their parents or guardians have provided informed consent as indicated by their signature on a consent form provided by the individuals requesting permission. The primary purpose of the centre is to provide excellent child care and this purpose will not be compromised to accommodate individuals requesting permission to take images. Requests must be received a minimum of 10 working days in advance of the requested dates of the project. Name(s), address(es), telephone number(s), fax number(s) and e-mail address(es). A complete written proposal or description of the project. Consent forms to be completed by each parent or guardian whose child may be included. In the event of an emergency (fire, earthquake etc. ), we may need to evacuate the premises. The designated assembly area is near the side entrance close to the shed. If necessary, the children will wait under staff supervision until a family member or designated individual arrives to assume responsibility for the child. In the event that a child cannot be picked up immediately, a staff will remain at the centre until all children have been collected. Please read the following carefully, so you also know what to do if you are at the centre during an emergency. Take cover immediately under desks, tables or other heavy furniture (if no furniture available, crouch against interior wall). Turn away from windows, light fixtures and suspended objects. Remain calm and reassure children by speaking and giving instructions in a firm, calm voice. When the quake is over, count to 60 seconds. Follow Evacuation procedures (see Fire Emergency). [Remember to bring the Evacuation Bag (which includes a First Aid Kit) and the Sign In Sheet]. Move away from the building if you see or feel signs of an earthquake. Avoid utility poles, trees and overhead wires. Go to designated assembly area (near the side entrance close to the shed). Remain outside the building until it has been inspected and declared safe by authorized personnel. Gather the children in a calm manner and line up by the exit. Close windows if possible. Take the Evacuation Bag (which includes a First Aid Kit) and the Sign In Sheet and do a visual sweep of the room. Make sure all children are accounted for. Walk; do not run to the closest Emergency Exit. Shut the door behind you and proceed along corridor and stairway in a quiet, orderly manner. Do not push or jostle. When you have reached the outside of the building, move away from the doorway to allow others behind you to emerge from the exit. Go to the designated assembly area (near the side entrance close to the shed). Do not go back into the building for any reason. Use the Sign In Sheet to confirm that all children are accounted for. Only return to the building when the Fire Marshall gives the All Clear sign. Emergency aluminized polyester blanket (Canadian Tire). 3 non-perishable food items (e.g. cereal bar, power bar). CAUTION: NO NUTS! A picture of the family. A small package of baby wipes. In the event of a major emergency, we will ask parents to come and pick up their children immediately.